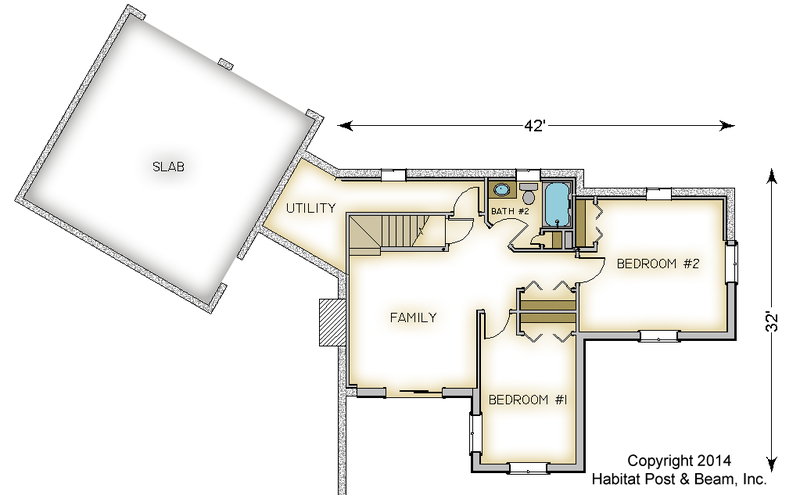 This three-bedroom home is just over 2,000 S.F. 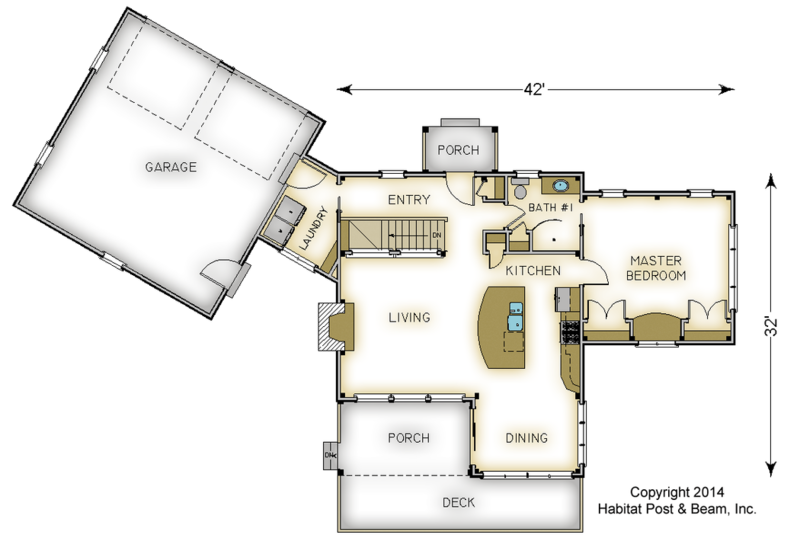 and features a first floor master bedroom. 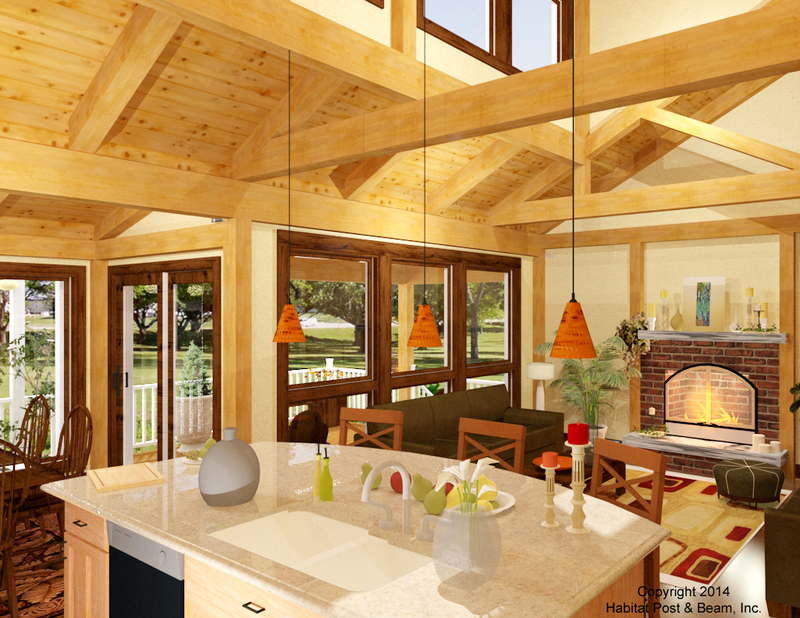 It's has an open floor plan that is both comfortable, and well-suited for entertaining guests. It also has an entry porch and screen porch adjacent to the deck that can be kept open or screened. Most designs can be adapted to add or remove walkout basements, garages, porches, etc., as desired (framing materials by owner/contractor). Package Price: $130,500 as specified below (from $103,000 to $132,000 depending on framing options). The standard price includes our Full Exposure Wall System, and our Beamed Roof System. 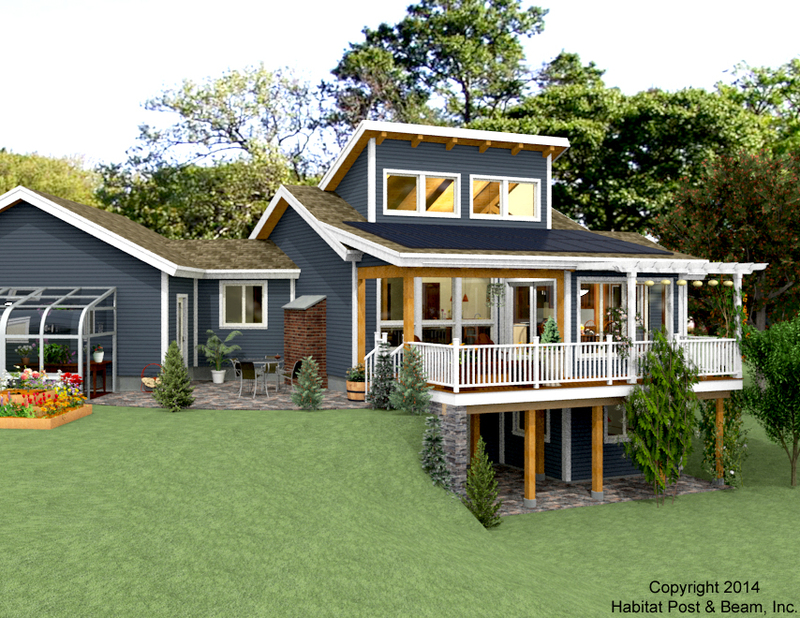 The entry and rear porches are our Beamed Porch System. This price does not include the optional connector, walk-out basement, or garage.